Why Does Shark Tanks's Barbara Corcoran Endorse Joe Manausa? Last month I flew to New York City to shoot a commercial with Barbara Corcoran, star of ABC's hit reality show Shark Tank. Since it began airing, I've been getting questions about how we drew such strong praise from a prominent celebrity. Barbara asks a very smart question ... when homes are selling fast, "how you do you ensure you get the most money for yours?" All too often, prospective home sellers do not perform proper due diligence before they hire a real estate agent for the job of selling their home. Instead, they figure in this market just about anybody can get their home sold. But do you just want your home sold? Or do you want to get as much money as possible when you sell it? Strong Marketing Strategy - If your goal is to get as much money as possible for your home, then you need to do a little homework. Figure out who is spending the money required to bring the MOST buyers to your home. If it were as simple as putting a home in the MLS, then every home would sell, and all would sell for top dollar. But the facts can't be ignored. Many homes fail to sell at their optimal value, and the reason is fairly simple. Only one buyer was negotiating on the home. You need more than one buyer bidding against each other if you want to gain top dollar, and to get many buyers, your agent needs to spend the money. I spend more money each month marketing our listings than most agents earn in a year! Proven Results - Real estate agents like to throw facts and figures at prospective home sellers to make agent selection a confusing process. Here is how to simplify it so that you know you are hiring the right agent for the job. Look at what past customers are saying. Go to Google. Go to Facebook. (Avoid real estate specific sites which can be gamed). Look at the reviews customers leave about their agents and you'll soon get a good understanding for the better real estate agents in your area. If somebody claims to have sold 1,000 homes but can't even get 10 customers to write good reviews, are they really the agent you want to hire to market your home for sale? Take a look at the bottom of this post where we have assembled just some of the public reviews we have received on those sites. 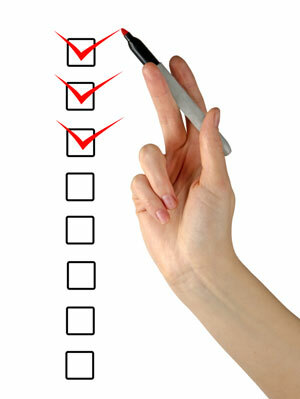 Attract Qualified Buyers - The primary job of your real estate listing agent is to draw buyers to your home. Notice I said "buyers," not merely "a buyer." This is the top reason why sellers leave money on the table. The home is improperly marketed and only one decent buyer is interested. Imagine real estate is like an auction ... how many people do you want in the gallery when it comes your turn to sell? More bidders equate to a higher price for the seller! You might not know this, but Barbara Corcoran is not just a TV star. Barbara earned her role on Shark Tank by first becoming the top real estate broker in New York City. Think about that. With millions of people living there, she figured out how to go from broke to the most dominant broker in America's fastest moving city. And while she sold her brokerage years ago, she still keeps her fingers on the pulse of the US housing market. She seeks out the best real estate marketers from around the country, because she knows that being "the best" is a moving target. If Barbara were to sell a home in Tallahassee, she would hire Joe Manausa. Why? Because Barbara Corcoran wants a real estate agent who can generate the most exposure for her home. She wants an agent who is financially committed to her success. And Barbara knows the facts don't lie. We dominate social media in Tallahassee; we have been recognized as a top internet marketer for more than 10 years with our daily Blog and weekly newsletter, and our radio and televisions ads continue to bring awareness to the homes that we have listed for sale. How could Barbara NOT find us in Tallahassee? What other real estate agents in Tallahassee come close? According to Barbara ... none! First of all, most agents rely on the MLS to syndicate your home to the hundreds of websites on the internet where many buyers go to look at homes. Now don't get me wrong, you definitely want an agent who will put your home for sale in the Tallahassee MLS, however there is just so much more to it than that. And if getting listed in the MLS is all that you do, you will certainly NOT get top dollar for your home when you sell. Why? Because there are other critical marketing stages that you must deploy if you want multiple buyers bidding on your home. Staging - Staging is a bit of an abused expression in real estate. I could spend hours writing about what staging (isn't), but instead I'll focus on what staging should mean to a homeowner who wants to NET the most money possible from the sale of a home. If you spend money to prepare your home for a sale, then you should expect to get back far more that what you actually spend, right? You don't put $20K into making your home worth an additional $5K. When we stage a home, we ensure that it is best prepared for its appearance on the internet. We hire a professional photographer who takes 50+ pictures of each home for our use in various marketing efforts, and we utilize a three dimensional camera to capture the floorplan and flow of a home so that our internet viewers can virtually walk through it at any time, day or night. Coming Soon - This is something that most real estate agents do not provide. 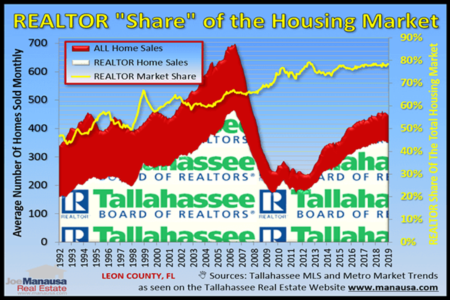 In fact, other than a few that just throw a "coming soon" sign in the yard, Joe Manausa Real Estate is the only real estate agent in Tallahassee driving buyers to our sellers before the home has even hit the market. We have developed a website (http://www.comingsoonhomestallahassee.com/) solely for the purpose of exposing properties to buyers before they hit the market. It gets a lot of attention from people who are waiting for the right home to hit the market. HERE IS WHY THIS IS SO CRITICAL FOR SELLERS WANTING TOP DOLLAR TODAY! - Homes are selling fast. Every neighborhood has a "stalker," somebody waiting for that next home to hit. If the home is right, they make an offer right away. Now, the MLS takes nearly a week to syndicate to all those other websites, so a home only marketed on the MLS is not likely to draw competition for the stalker. But a home that is shown for weeks on our coming soon site has many buyers waiting to get into it on day 1 (thus the stalker knows he better make a great offer or he might lose it to another buyer). Demand your listing be on our coming soon site for at least a week before going live, it will give you a great chance for top dollar! MLS Syndication - Finally, it's important that your home be listed in the Tallahassee MLS and that your agent selects all the appropriate options to ensure your home is syndicated across the internet. Every week I find several listings where the agent's oversight has caused the home to be deselected from syndication ... and that is very costly to home sellers. 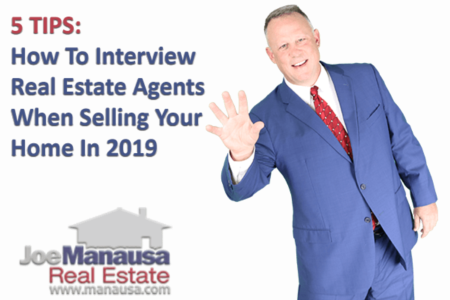 This is why working with a team of well-trained specialists like we employ at Joe Manausa Real Estate is so critical when it comes to selling for top dollar! No detail can be overlooked if you want to maximize your bottom line. If you are contemplating selling your home within the next year, take advantage of our "no strings attached" home visit. We'll give you some pointers on things you can do to enhance the staging of your home, and we'll give you an idea of what you could expect to get for your home in today's housing market. If you'd like to take advantage of a free consult, just drop us a note and we'll be in touch right away. Remember to take a look below at what our past customers say about working with Joe Manausa Real Estate. We have listed some of the their public reviews (and sources) below.